Hello, my lovelies! I'm sure you've been wondering why there's been a lack of swatches lately. Well, here's why. I have a confession to make. Since 2009, I've had gel nails. I knew they weren't great for my nails when I got them, but I'm a person that likes to work with her hands and breaks her nails frequently. But paying $40 every two and a half weeks for a fill and not being able to swatch when they'd grown out just too much was starting to bother me. So I took the leap and had them taken off. Now, my nails are exceptionally brittle from the years of damage. But I'm working to strengthen and rehabilitate my nails. I'm sure a lot of you have gone through this, are going through this, are considering going through this, or just will. So I figured that I'd document my journey through what I'm not-so-affectionately calling Nail Rehab. I'll be starting with a before picture in another few days, along with my current rehab regimen. I promise, nothing will be gross. There aren't any infections or cuts or anything. Just very short, brittle nails that I'm working to strengthen. Hope this is something that you'll all find informative and helpful to you! Nail rehab! I love it!! Keeping my nails healthy is very important to me, so thank you for sharing your experience! Any info is always helpful! Good luck on your journey to healthy nails! Nailtiques will have those nails back to normal in no time! Best of luck! I used to have brittle peeling nails. Let me know if you need any help! I used Qtica nail growth stimulator to help grow my nubs. That's awesome! I've always had natural nails, and once you get yours up to par again I'm sure you'll love them. 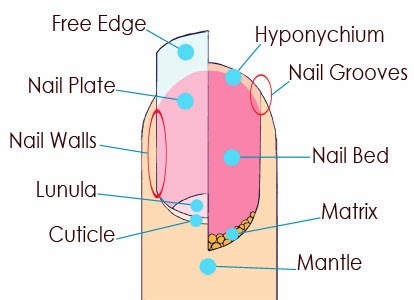 Even though I haven't used artificial nails in years, I am interested in what your regimen is. I'm sure I can pick up a few tips from it. can't wait to see your healthy nail journey! You'll be so glad you did! I wore acrylics for years and HATED getting fills. Doing my own at home is so much easier and I love the more natural look. Good luck! This is going to be a great series! Thanks for sharing your journey!